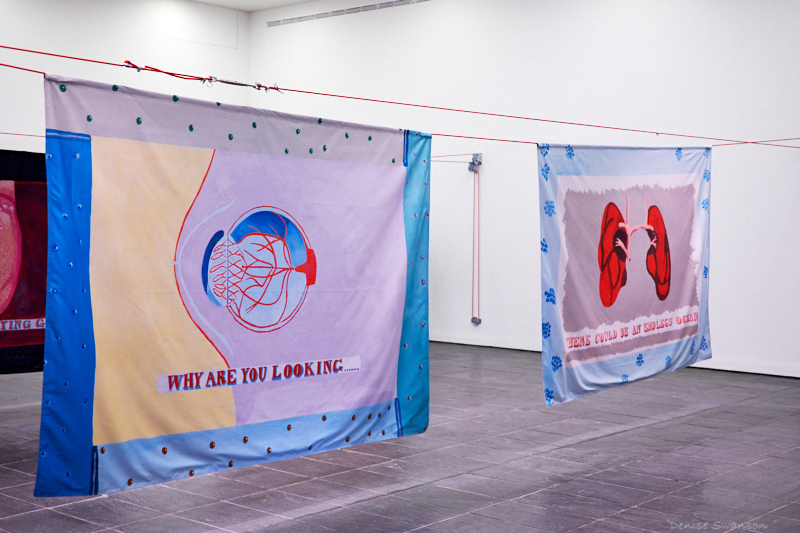 Our Kisses are Petals is a new solo exhibition from Lubaina Himid. It originates from new paintings on cloth employing the patterns, colours and symbolism of the Kanga, a vibrant cotton fabric traditionally worn by East African women as a shawl, head scarf, baby carrier, or wrapped around the waist. Typically, kangas consist of three parts: the pindo (border), the mji (central motif), and the jina (message or ‘name’), which often takes the form of a riddle or proverb. A twelve-week programme of activities accompanies this exhibition called Raising the Flag. The programme celebrates the raising of the flag which sits on top of BALTIC’s roof, taking place on each of the Sundays throughout the Great Exhibition of the North. 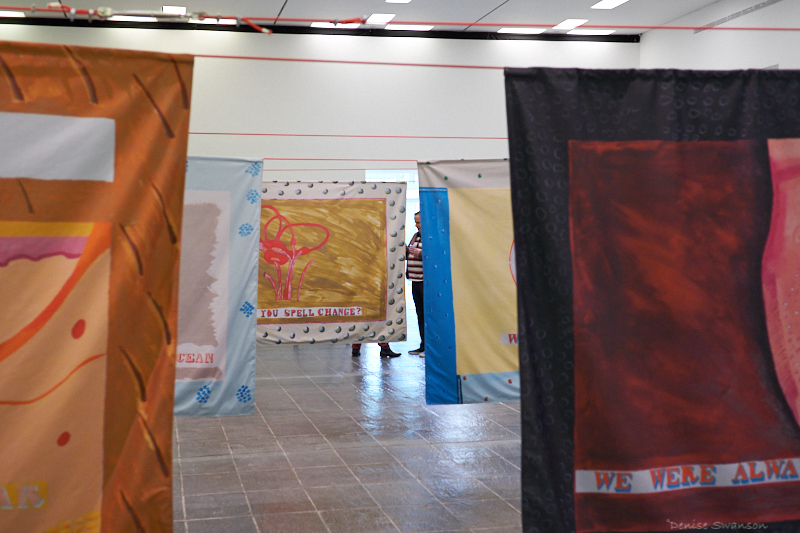 Each week there will be activity at 11.00 to coincide with the raising of Lubaina Himid’s flag. Find out more here. BALTIC is open until 21.00 during the Great Exhibition of the North, visit between 17.00 and 21.00 to avoid the busiest periods.